The Agenda Tiles alphabet was created to coordinate with the 2016 September Memory Monthly Pockets collection "Agenda", but can coordinate with any palette or story. It is a full alphabet (plus the special characters ?, !, &, +, and numbers 0-9) in six color variations. All products are created at 300 DPI for optimal printing quality. Please see my TOU for full terms. I hope you have fun scrapping your own stories with the Agenda Tiles alphabet collection and MPM September 2016! Includes upper case, numbers, and punctuation in 2 different color block styles per character! Also includes plain veneer for easy mixing and matching. 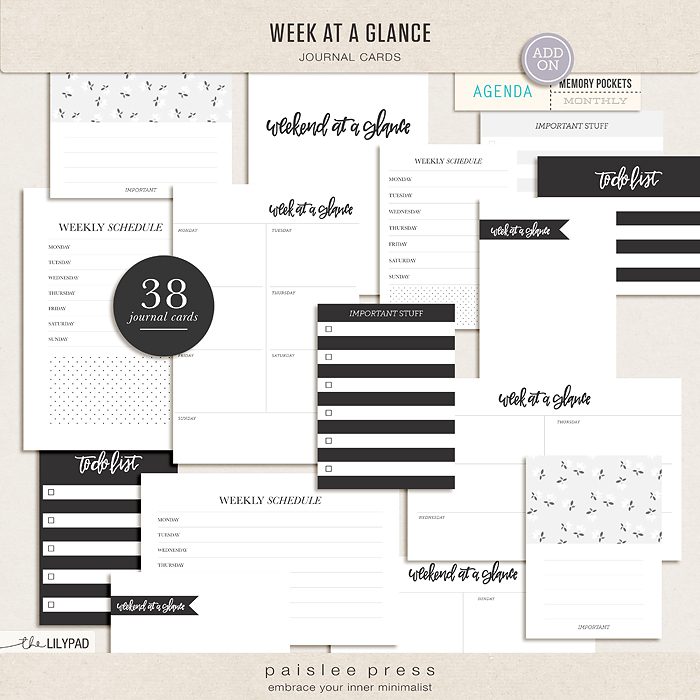 10 journal card templates! Each card comes as a psd and tiff file. Includes 8 3x4 and 2 4x6 template cards. 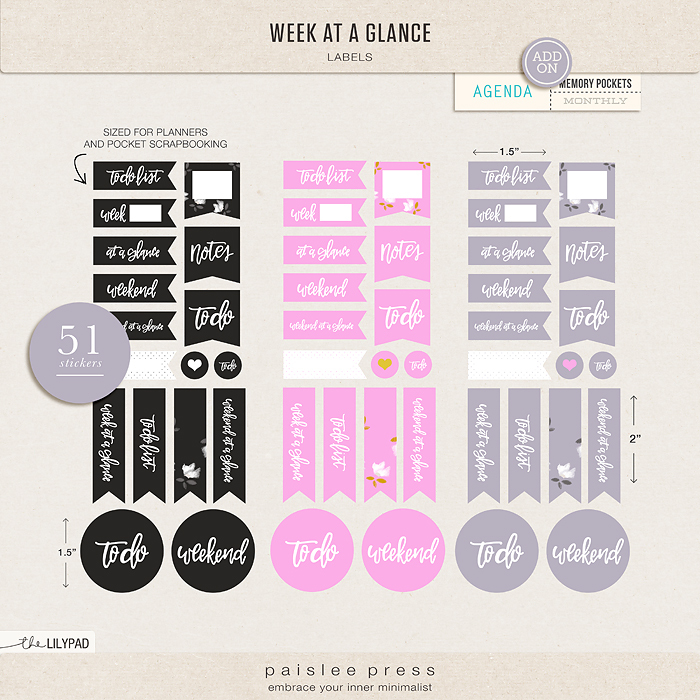 A set of "week at a glance" themed digital stamps designed for pocket scrapbooking and planners, features hand drawn wordart and modern typography. The busy month of September means back to school, back to sports and other extracurriculars. 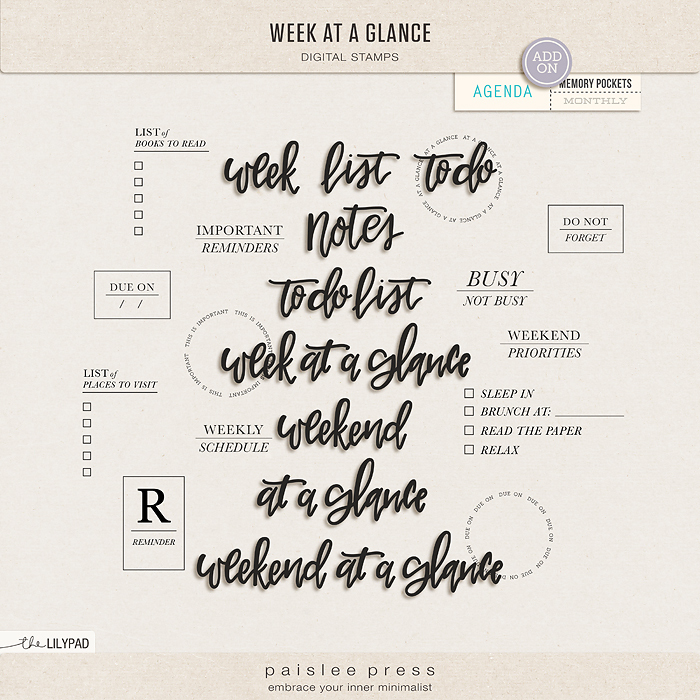 The collection will help you document your life, from the daily rush to the quiet moments. 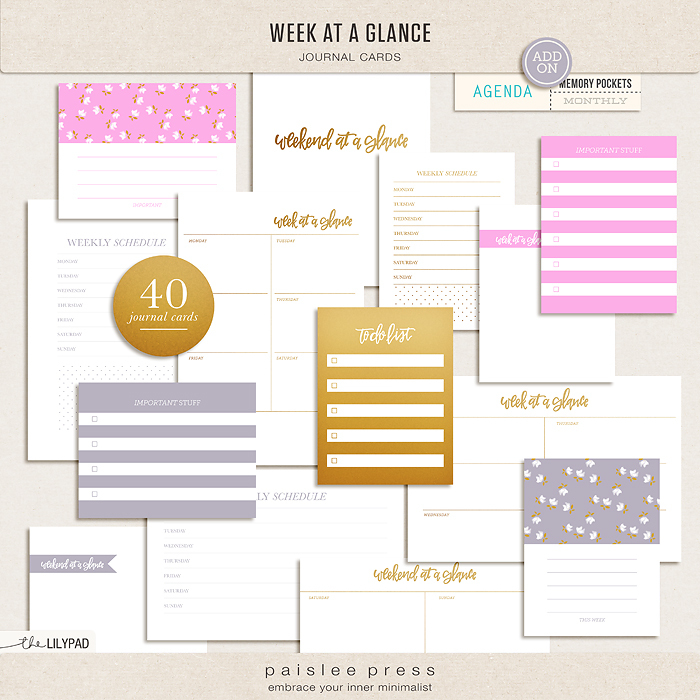 26 – 3×4 cards, 8 – 4×6 cards, 4 – 4×4 cards, 136 elements, 9 solid papers, 1 4×6 photo template, 2 alphas, PLUS, all cards and elements are provided individual digital files AND as ready-to-print PDF sheets. All cards are provided in horizontal and vertical orientations with and without bleed, and many come in additional color ways. This kit is also available by subscription!